For three years — beginning in 2016 with the forming of a Willamette Falls Locks Task Force and continuing with the work of a subsequent 2018 Willamette Falls Locks Commission — a diverse array of stakeholders conducted studies, hosted public hearings and lobbied lawmakers to re-open the 145-year-old Willamette Falls Locks. Oregon Gov. Kate Brown noticed. In a press release Dec. 19, the Locks Commission — a 23-member group chaired by West Linn Mayor Russ Axelrod — announced that Brown's proposed 2019 budget includes $7.5 million in Oregon State Lottery bonds for the repair and reopening of the locks. The structure was historically used to help water vessels pass through the Willamette Falls; its current owner, the U.S. Army Corps of Engineers, announced its closure in 2011 due to "excessive corrosion" and a lack of funding to support continued operation. Advocates quickly banded together to save the locks, citing their historic significance and value for transportation, recreation and emergency preparedness. If Brown's budget is approved, it would be the most significant step to date in permanently re-opening the locks. "Pending legislative approval, the Lottery dollars combined with federal money from the U.S. Army Corps of Engineers would be used to support the necessary repairs to get the Locks reopened and operational," the Locks Commission press release read. "The Corps, which currently owns the Locks, has estimated that it could fund a portion of the structural and safety repairs necessary, approximately $3 million, before transferring ownership to another entity." Axelrod said the commission worked with the KPFF Consulting Engineers firm on a cost estimate to repair and reopen the locks, as well as projections for long-term management costs. "There's going to be an initial capital investment of somewhere in the range of $10.5-to-$15.5 million," Axelrod said. "That would do pretty much a complete repair and restoration, and get the locks up and running. That would also cover a fair amount of seismic upgrading." Axelrod said the final price tag will depend to some degree on how much "modernization" is added at the locks. "I sort of hate to call it modernization," he said. "(It means) how things are operated — whether we put in more automated systems or systems that are less automated." In all, Axelrod anticipated the cost to be on the higher end of the estimated range. "I think we'll be in the upper $15 million range," Axelrod said. "So if we get the governor's budget of $7.5 (million), the Corps has already committed between $2.7 and $3 million — we're almost to the initial capital investment there alone." The commission will likely look to the Oregon Legislature for the remaining funds. "There's transportation package opportunities, (as well as) resiliency and emergency response monies," Axelrod said. "We'll be exploring all that in this next year with the Legislature." Meanwhile, the commission has also discussed governance of the locks once they're reopened. "One of the principle findings of the commission is this is an important historic and public asset to be preserved, so the overwhelming consensus is that future governance should be (by a) public entity — likely a state agency," Axelrod said. Specifically, the commission has identified the Department of State Lands as the best option to take over operations from the Corps. "They actually own the riverbed under the locks. They own the land upon which it's resting," Axelrod said. "Recently (in early December) several of us toured the facility with the director of DSL, Vicki Walker. And the governor's team was with us, too." The current estimate is that, once they're repaired, the locks will cost about $1 million per year to operate. "It could be divided between public and private (operations)," Axelrod said. "Right now, that's a heavy lift so we're focused on a state agency ... and then other models down the road could be evaluated if there's an interest." A report from ECONorthwest projected that the locks could generate almost $100 million in transportation and recreation funds if they're reopened. 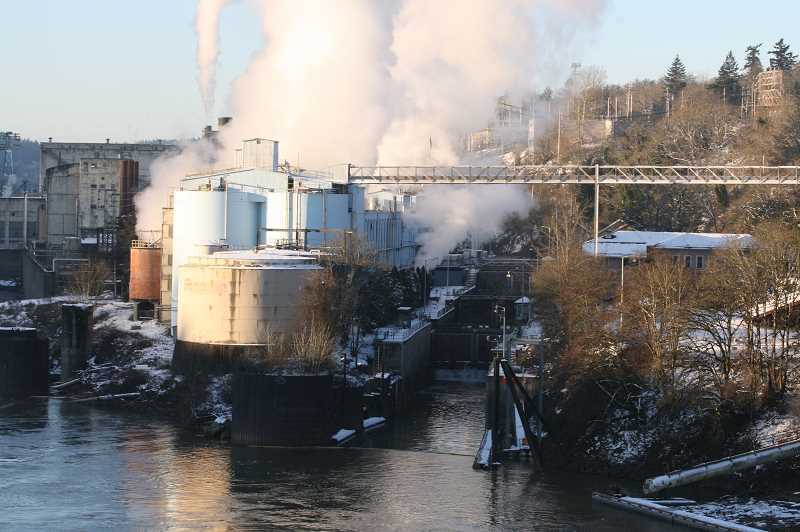 Benefits associated with the locks' operation could also remove between 80,000 and 220,000 trucks from Portland area roads, keep between 11,000 and 15,400 metric tons of nitrogen oxide out of the air and save between 11,000 and 32,000 metric tons of Co2 emissions.